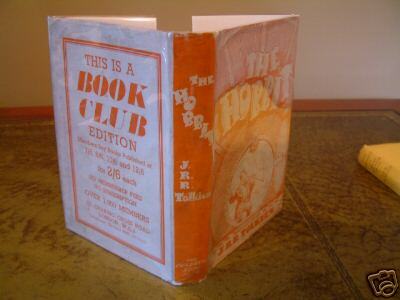 The Hobbit by JRR Tolkien - The Childrens Book Club Edition. President Mr W A Foyle. "This Edition Published 1942 by arrangement with George Allen and Unwin Ltd"
The Hobbit by JRR Tolkien - The Childrens Book Club Edition. President Mr W A Foyle. 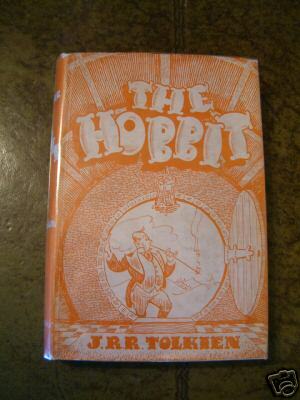 "This Edition Published 1942 by arrangement with George Allen and Unwin Ltd"
This is a beautiful copy with the orange wrapper and the "Dandified Hobbit" that Tolkien disliked. See Hammond & Anderson Bibliography page 16. The wrapper is complete and not price clipped. Very minimal chipping to the head and tail of spine. This is the best copy I have seen. 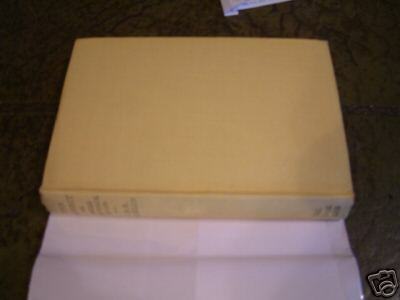 The book is very near fine with the yellow boards and the gilt titles to the spine bright and not faded. No inscriptions or internal marks. Printed on war economy standard paper in 1942. 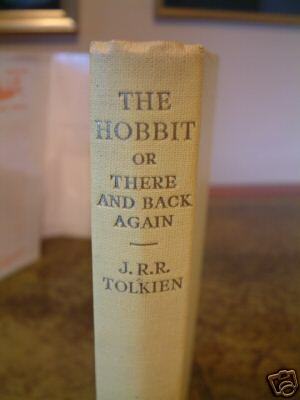 These copies were taken from the 1st edition of the Hobbit (3rd impression) and therefore have the original text for "Riddles in the Dark" before this was altered in the 2nd edition to tie in with The Lord of The Rings. A beautiful copy and one of the only copies with a complete and bright wrapper that I have seen. You will have to look hard to find a similar copy available for sale worldwide. 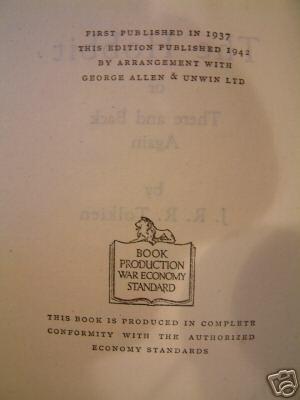 Includes Black and white illustrations by JRR Tolkien as issued. The yellow boards are a much brighter yellow than shown on the digital images.